Yesterday, HBO gave us the most amazing gift ever by releasing fifteen stills from the upcoming season of Game of Thrones. Since the season doesn’t premiere until July 16th, we have 86 days to overanalyze the photos and come up with as many theories as possible, which we’re already *really* good at doing. 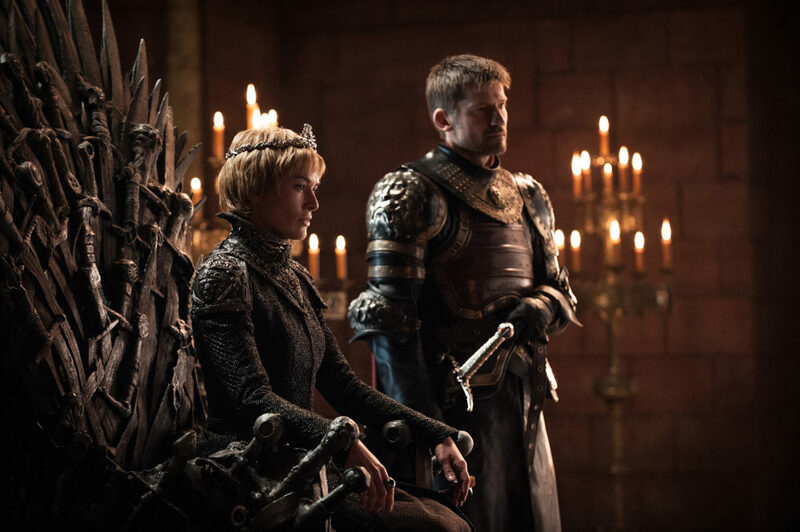 One of the photos that seriously stood out to us was the still of Cersei Lannister sitting on the Iron Throne, with her brother Jamie dutifully next to her. This photo has us asking a million questions because, frankly, it’s hard to see where Jamie’s true loyalties lie. Sure, he’s declared his undying love for his sister time and time again (that’s still weird to type after seven years) but there are numerous fan theories that believe he’s the one who is going to kill her after she goes completely mad (if she hasn’t already, tbh). Anyway, as Mashable reported, there’s a little detail in the photo that has us thinking that things could go very wrong for Cersei Lannister. Something looks familiar and it’s not the Iron Throne, Cersei is perched upon. It’s the sword attached to Jamie’s hip. Let’s take a look at the photo again. According to reddit user, xpbso, that sword is the Widow’s Wail, a sword we haven’t seen since The Purple Wedding in season 4. 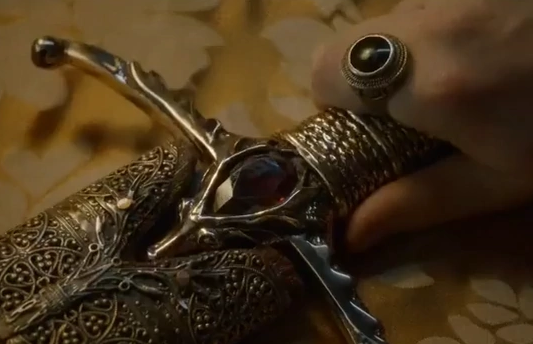 If you recall, it’s the sword that Tywin Lannister gave to his grandson Joffrey on his wedding day. After Joffrey’s death it supposedly belonged to Tommen, but he was too nice and naive to be wielding a sword called Widow’s Wail. So why is Uncle Jamie rocking his son nephew’s sword? Now this could be a could be a coincidence but come on, we all know that nothing is a coincidence in the world of Game of Thrones. The question is: will Jamie use the sword to kill Cersei? Whether he uses it to save Westeros from a potentially mad queen (and maybe to save Cersei from herself) or not, we have a feeling that the sword will be significant this season.